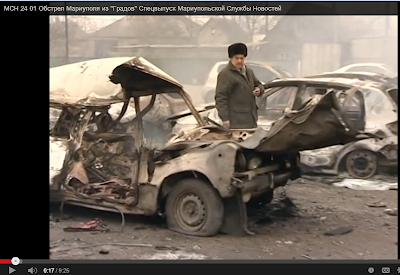 Mish's Global Economic Trend Analysis: US Special Forces in Mariupol? 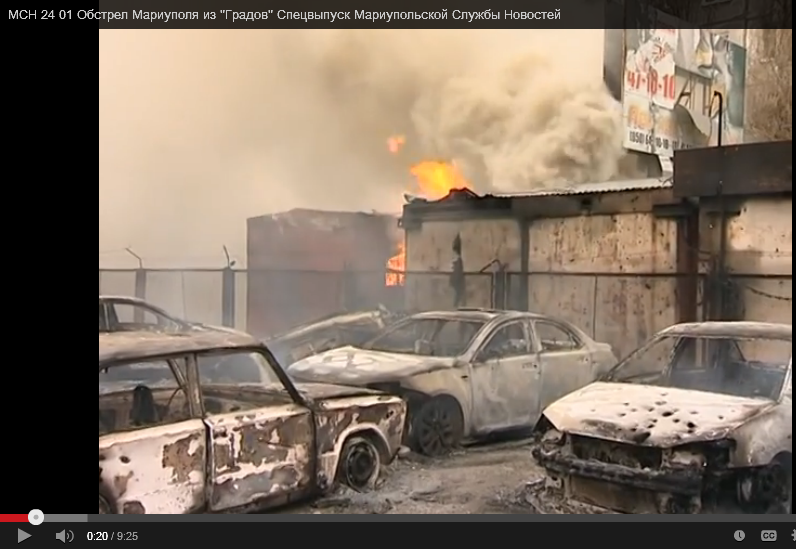 US Special Forces in Mariupol? The rebel attack on Mariupol, Ukraine is underway as noted earlier today in Attack on Mariupol Begins; 7,000-8,000 Ukrainian Forces Nearly Encircled in Northern Cauldron; US Sends Army Trainers. Disinformation regarding the attack is running rampant, even bordering on the outright ridiculous. "This is done by RUSSIAN rocket launchers, with RUSSIAN rockets, by soldiers speaking RUSSIAN, running RUSSIAN flags on their vehicles and with RUSSIAN emblems on their sleeves..."
Russian Major-General Vyaznikov is relocating his HQ to Soledar, Ukraine. The reader who sent the link asserted "You wanted photos, satellite images, twitter feed posts, etc....so here you go". The entire website was nothing but allegations. 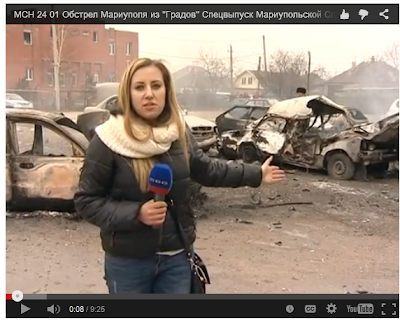 The site has maps with claims like "this is where Russians launched their attack". I prefer actual evidence of things. 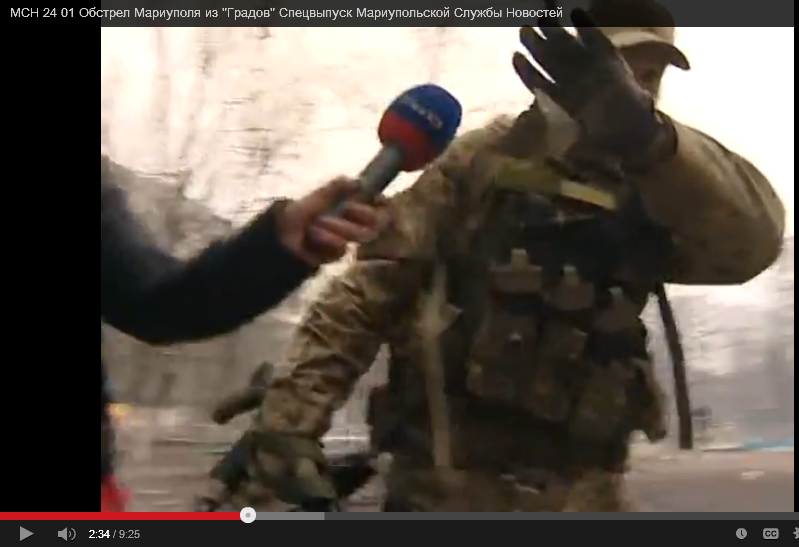 For example, please consider this image of a Ukrainian reporter in Mariupol asking a soldier a question. Who is this man? Where is he from? The curious thing about that soldier, hiding his face, is that he responded to a Ukrainian reporter's question, in English with: "Out of my face! Out of my face please!" right at the 2:34 mark in the following video. link if video does not play: Mariupol Soldier Responds "Out of My Face"
The rebels have claimed since last June that US special forces were active in Mariupol. They even claimed to have killed one of them by sniper fire. We now have strong evidence, and it doesn't even come from the rebels. The soldier in the video could be a mercenary, but that's illegal unless approved by the US government. 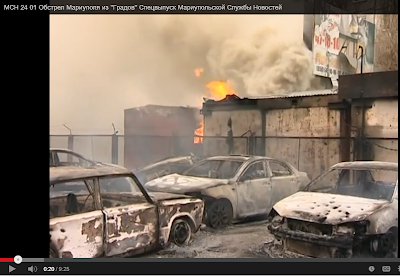 A Discussion headline reads American mercenary/possible US Special Forces filmed in Mariupol, Ukraine today. "The accent is clearly a Brooklyn or Jersey accent. Possibly Boston but definitely New England based. The cap, uniform and ammo belt is standard US Special Forces or 'Academi' mercenary outfitting. The soldier is Carrying an AKS-74 with folded buttstock and also has a handmade titanium silencer, rubberized grip and magazine with the bracket." Anyone in the military recognize that equipment? 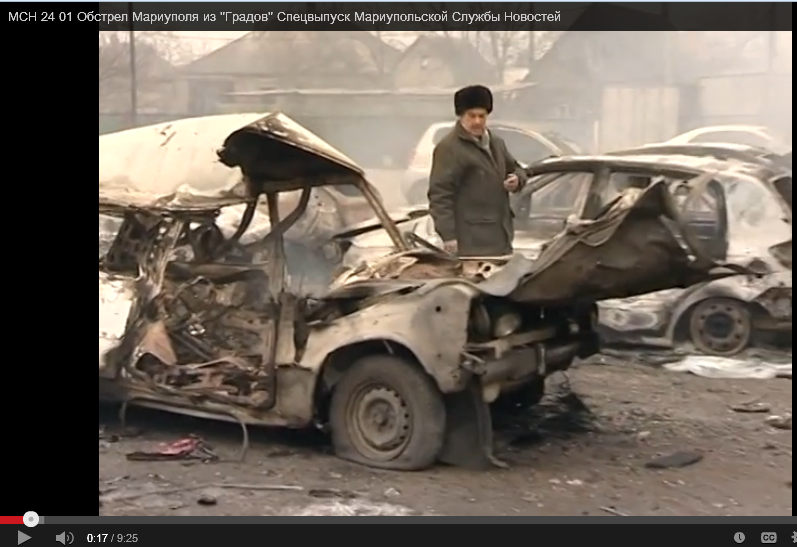 Vehicles destroyed in the early footage suggest a targeted attack on a known location. Were those vehicles of the Special Forces by any chance?